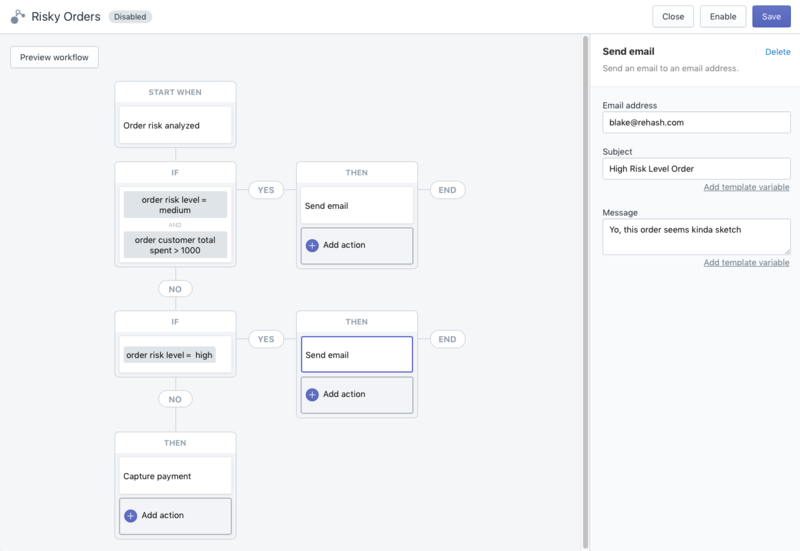 Ecommerce Automated: Meet Shopify Flow. 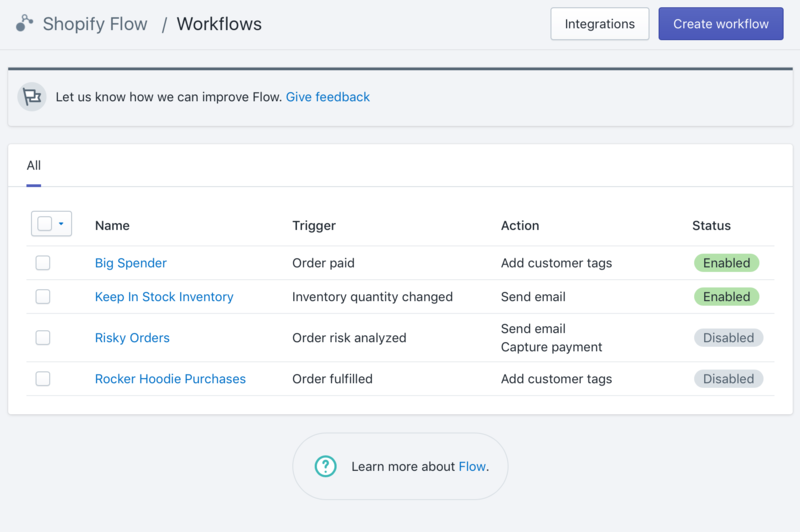 Shopify Flow is the latest product offering from Shopify Plus that helps merchants automate workflows and repetitive process through a simple interface inside the Shopify Plus admin. 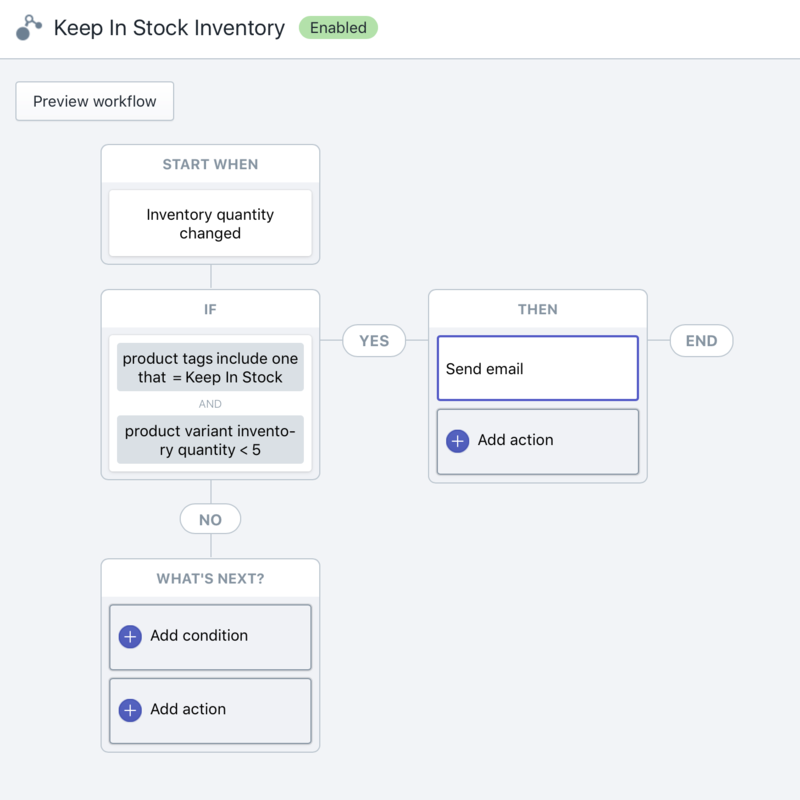 Flow is a great tool for all the mundane backend business tasks your teams have been trying to keep up with manually. With the right workflows set up, you can save time, payroll, and increase productivity all with a few clicks and absolutely zero programming knowledge. The next step after choosing a trigger is adding logic conditions. Based on the results of the conditions, specific actions can then be performed. While the initial triggers are limited, the conditions and actions are basically infinite. Flow maps out each condition and action visually, and even warns you of any incomplete sections within your workflow. There are so many ways you can use this great new tool. Here are a few quick ideas we've come up with that we think most stores could benefit by using. Before Flow, Shopify admin was where you could see orders needing approval. If that approval had to come from a manager who isn't in the dashboard throughout the day, it could miss shipping deadlines. With Flow, you can set up complex order risk analysis filters and send a message to the right staff member via email or even Slack. An immediate notification means a quicker approval or rejection of a risky order. In this workflow, we're sending high risk orders directly to a manager as well medium risk orders with over $1000 worth of product to the manager. Every store as important inventory to keep well stocked. 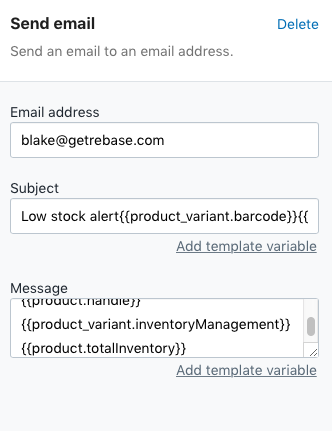 With this workflow, we set a tag of Keep In Stock for those important products and then have Flow send a notification if they get below 5 in available quantity. 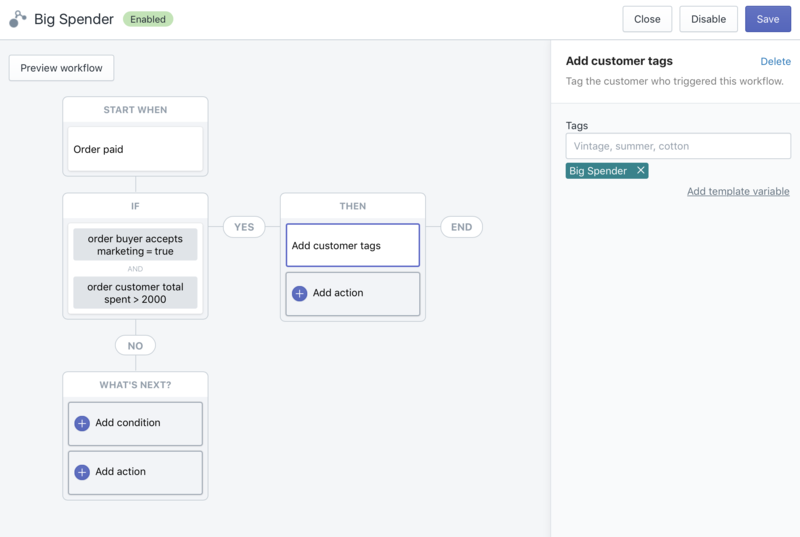 This workflow lets you automatically add a customer tag to any customer who has spent more than $2,000 over their lifetime in your store. This is a really great way to segment your customers and focus your email marketing accordingly. 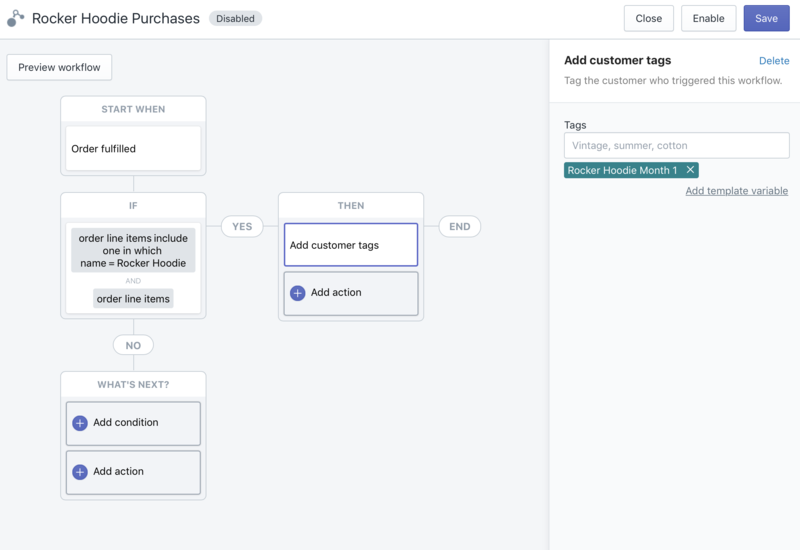 This workflow is also based on segmenting customers with tags. In this example, you may have a new product you're launching and want to tag any customer who purchases it within one month of the launch. Then, you can send them all an email discount code at the end of the month and ask the customer to leave a review the product on your website.